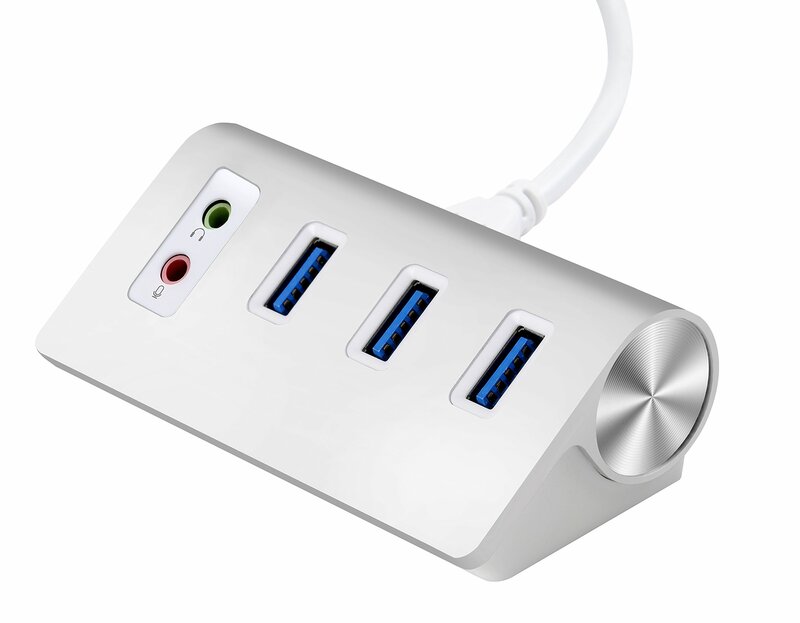 Home › Electronics › Alcey 3-Port Usb 3.0 Portable Aluminum Hub With External Stereo Sound Adapter..
Alcey 3-Port Usb 3.0 Portable Aluminum Hub With External Stereo Sound Adapter.. Easily adds 3 USB 3.0 ports and External Stereo Sound Adapter to your computer to your PC; Supports hot swapping & plug-and-play, and a built-in surge protector incorporated to safeguard your USB devices. With data transfer rates of up to 5Gbps, you'll be able to sync files and interact with your Mac or PC more efficiently than ever; backwards compatibility with USB 2.0 / 1.1.